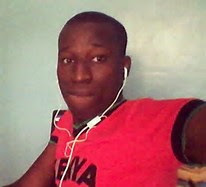 Cyprian Nyakundi is among the top Kenyan bloggers and if you are a lover of blogs, then you definitely know him. Recently, he was sued by Safaricom, the leading telecommunication company in Kenya for defamation. He did not stop his ‘work’, which he terms as ‘investigation and he is now eying Bidco, the biggest cooking oil company in East Africa. Cyprian Nyakundi is accusing Vimal Shah, the CEO of Bidco, and his company for grabbing land in Uganda among other claims. Rumor has it that he has written a 20 part series about the alleged land grabbing saga in Uganda. A clip has emerged online of voice recordings where by his ‘partner in crime’ Xtian Dela and an alleged Bidco representative are discussing a deal whereby Bidco has to pay Cyprian so that he can delete and stop writing anything about Bidco Company. Cyprian wants kes 40 m, which is lower than the kes 50 m he had earlier demanded. This is a good deal. Isn’t it an easy way of making money. I love my job, but don’t expect me to do such stuff. I think the two have gone too far. The fact that the two command a large following in social media doesn’t give them the right to manipulate anyone or any company.